Judge Dean Bucci made history this past December when he was appointed to Superior Court judgeship in the Paulding Judicial Circuit. Judge Dean Bucci became the first Hispanic Superior Court Judge in Georgia. 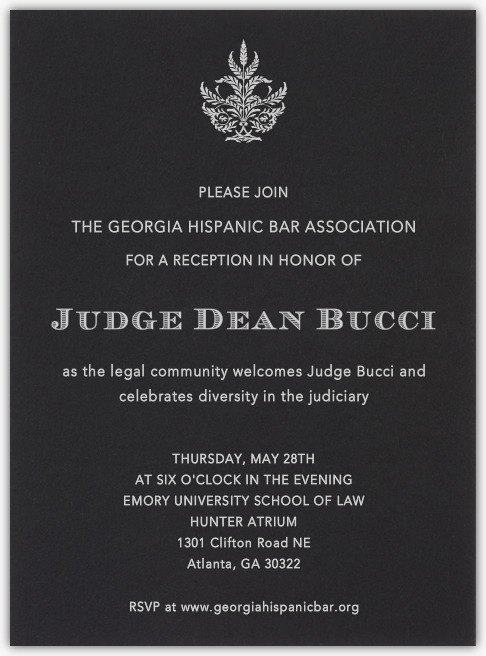 To celebrate this achievement, the Georgia Hispanic Bar Association will be hosting a reception in honor of Judge Bucci and also in celebration of diversity in the bench. The reception will be held at Emory University School of Law, 1301 Clifton Road, Atlanta, GA, 30322, in the Hunter Atrium.